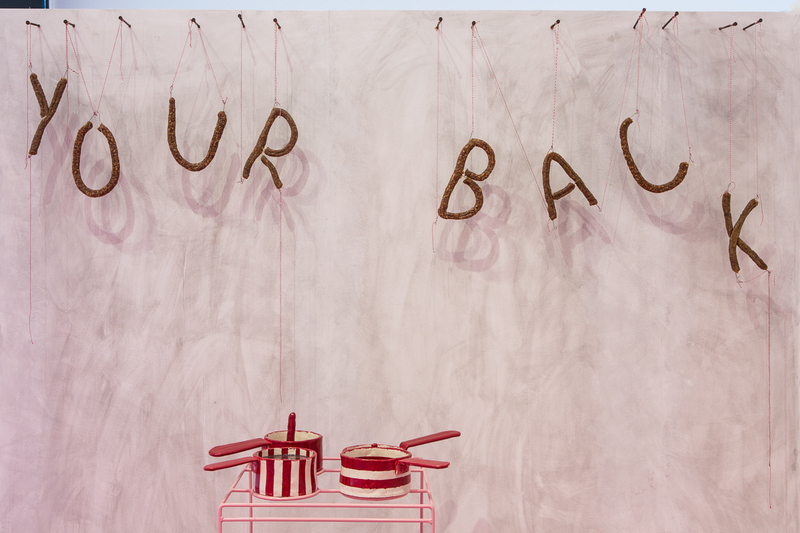 Working together, artists Jonathan Baldock and Emma Hart have radically re-imagined the traditional seaside show, Punch and Judy. 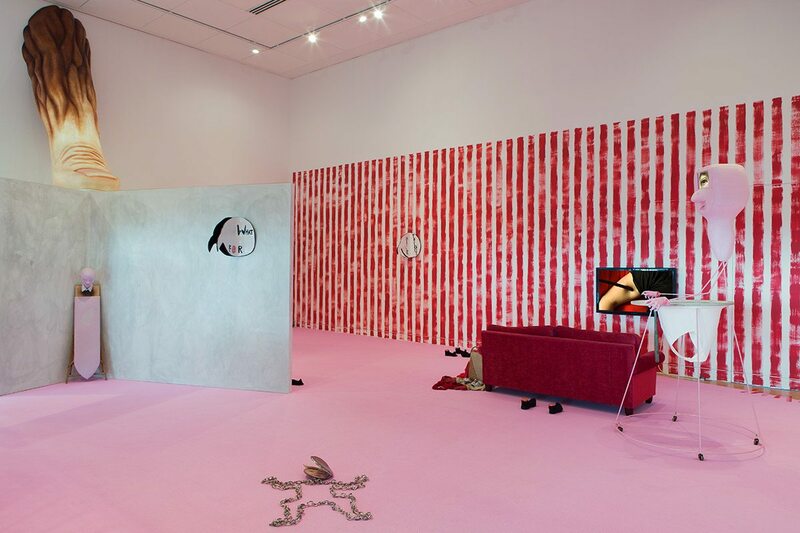 Following ACT II at Grundy Art Gallery in Blackpool this summer and ACT I at PEER in London last year, Emma Hart and Jonathan Baldock’s LOVE LIFE concludes this autumn with ACT III at the De La Warr Pavilion. 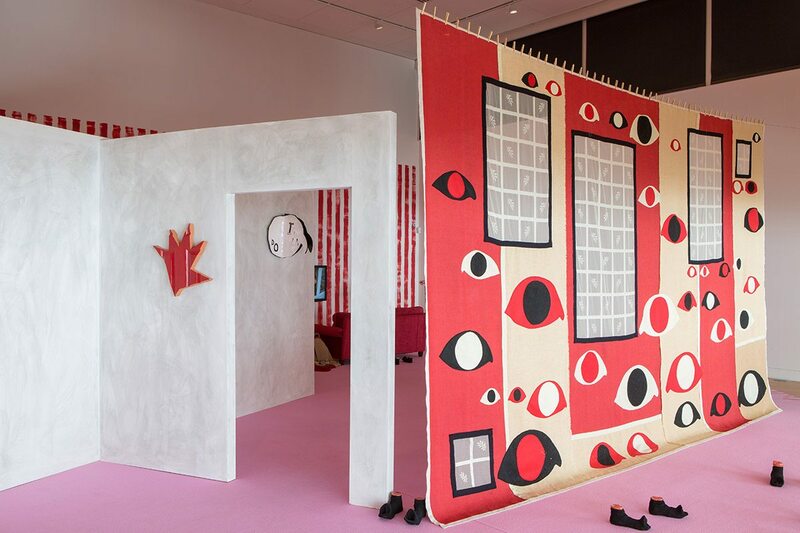 LOVE LIFE is Jonathan Baldock and Emma Hart’s most ambitious collaboration to date: a radical reimagining of the traditional seaside show Punch and Judy. LOVE LIFE ACT III draws on the history of the Pavilion, originally designed as a ‘people’s palace’ to provide culture and entertainment for all. Through sculpture, moving image and sound, the artists transform Punch and Judy’s puppet booth living quarters into an oversized, darkly humorous place in which the pressure of domestic life is combined with the ever-present threat of violence. sofa and watch a film that shows the darkening domestic tensions between the Punch and Judy pair as they go about their daily rituals. Accompanying this mise en scène are the melodramatic strains of Jon and Emma (2016), Baldock and Hart’s collaborative soundtrack. The song is adapted from John and Marsha, the comedian and puppeteer Stan Freberg’s 1951 cult record parodying soap opera dialogue. Emma Hart lives and works in London. 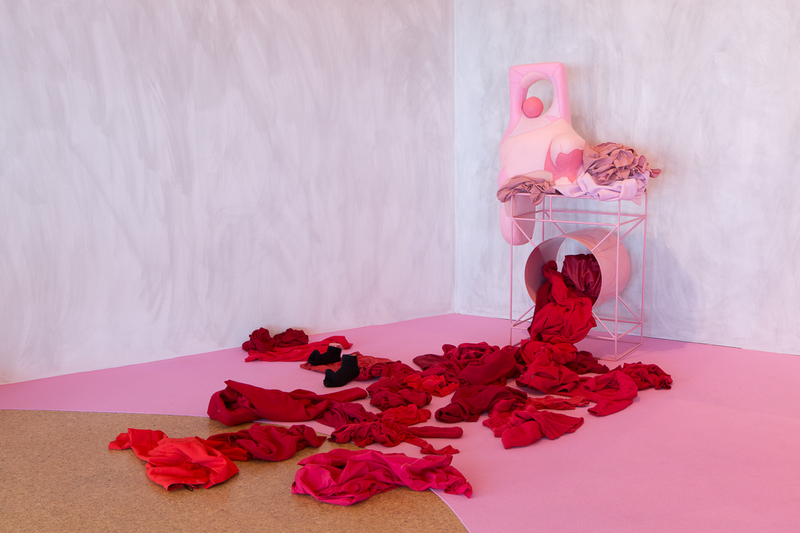 In 2016 she won the sixth Max Mara Art Prize for Women and from 12 July to 3 September 2017 will present Mamma Mia!, a new large-scale installation at Whitechapel Art Gallery. The commission is the result of the artist’s six month bespoke residency which began following her award in June 2016 in three Italian cities: Milan, Todi and Faenza. In 2015 Hart was also supported by the Paul Hamlyn Foundation Awards for Artists. She has exhibited extensively across the UK and Europe including at Camden Arts Centre, Folkestone Triennial, Whitechapel Gallery and La Galerie CAC Noisy Le Sec, France. Jonathan Baldock (b.1980) is London based artist and has exhibited internationally including solo shows at SPACE, London; OneWork Gallery, Vienna; Nicelle Beauchene, New York; Kunstvereniging Diepenheim (NL); The Apartment, Vancouver; Wysing Arts Centre; Cambridge; Chapter Arts Centre, Cardiff; and Mansfeldský Palác, AMoYA, Prague. Group exhibitions include: Fondazione Memmo, Rome; Hull Maritime Museum; The Rockbund Art Museum, Shanghai ; The Northern Gallery for Contemporary Art, Sunderland, The Mackintosh Museum, Glasgow and The Arp Museum, Rolandseck. Forthcoming solo shows include CGP London (June 2017). Baldock and Hart met on a residency at Wysing Arts Centre and have collaborated on projects ever since, including SUCKERZ in 2015 at L’etrangere, London. LOVE LIFE is a collaboration between PEER, Grundy Art Gallery and De La Warr Pavilion supported by Arts Council England through the National Lottery.